Is Becky Lynch Vince's greatest WWE Superstar in recent times? While many intriguing storylines are taking shape on both Monday Night Raw and SmackDown Live, none of them have been as captivating and revolutionary as the one surrounding Becky Lynch. Let's give credit where it's due - WWE has been very clinical in their handling of the entire Becky Lynch situation and have presented her as an absolute underdog going into WrestleMania 35. Ever since Vince McMahon suspended Becky Lynch and ascended Charlotte Flair in her position, the creative team has significantly gravitated the right amount of empathy and screen time to The Man. 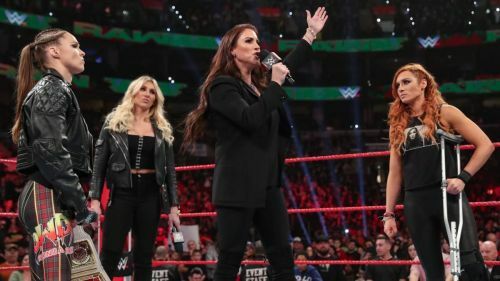 With the Authority now facing a huge backlash in front of their very path to WrestleMania, there's a lot of intrigue surrounding how Becky Lynch would find her way back into the main event of the Showcase of the Immortals. The feud has got the world of professional wrestling talking with Charlotte now impelled as Vince McMahon's choice to dethrone Ronda Rousey and win the Raw Women's Championship. There's no denying that Becky Lynch would have to earn her opportunity to get back into the main event picture, but her willingness to reach the top of the heap has the fans intrigued and how. A more notable thing here is that Vince McMahon's initial plan for the Raw Women's Champion involved Charlotte locking horns with Ronda Rousey. But, what could have coerced The Boss to look at the other side of the fence and put his money on The Relentless One, Becky Lynch? Does Vince McMahon think that Becky Lynch has become everything that any other fellow superstar failed to become? Let's dive our attention towards some facts here. 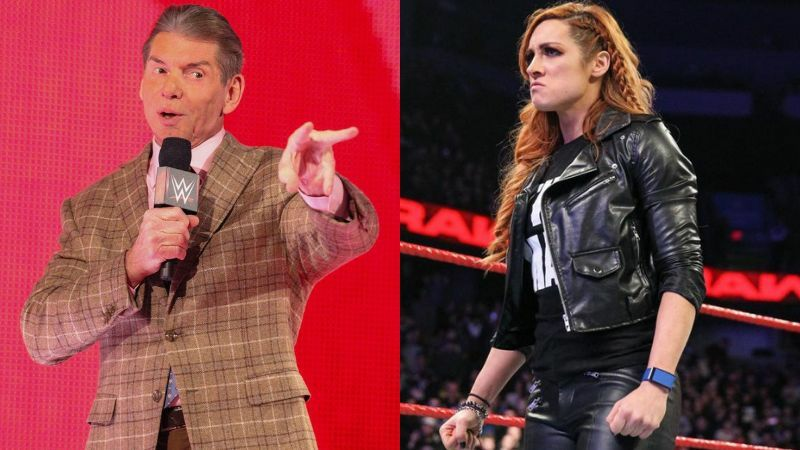 Here are the 4 biggest facts that prove Vince McMahon considers Becky Lynch the biggest star in WWE. Ever since Ronda Rousey made an astonishing debut in the WWE, everybody in the WWE Universe that The Rowdy One would be presented as the face of the entire women's division in the company. Meanwhile, Charlotte also transcended to become a major name on SmackDown Live and while her victory over Asuka at WrestleMania 34 was quite shocking, the fans had a clue where this was all heading. Let's not forget that Ronda Rousey was always meant to cater to the WWE Universe, with the company propelling her as the poster girl of the entire division. On the other side, Vince McMahon always wanted The Queen to become the most marketable superstar on the blue brand which would have eventually seen her colliding against the Raw Women's Champion at this year's WrestleMania. The funny thing here is that despite still being in the main event of WrestleMania 35, none of them are being presented in the same way as Vince imagined them to. This is where Becky Lynch's meteoric rise in the industry comes into play. The relentless Lynch stole everyone's heart with her straight-fire attitude and ascended herself to become the biggest name in the entire women's division. Her unstoppable momentum has now coerced the management to portray Ronda Rousey and Charlotte Flair as menacing heels going into WrestleMania 35. This astonishing turn of events is a testament to Becky's organic rise and her willingness to take the women's division by storm.